Craftathon 2018 - What I made..
Several of us ran make and takes, and we had a tombola, raffle with amazing prizes donated by nearly everyone we knew in the crafting world! We had a cake stall, with vintage china and bunting, a 'Guess the weight' of the Embellishments Jar (it was heavy! ), and everyone had goodie bags decorated by the lovely Cassie and donated contents by Susan. It was lovely to meet new people, as well as familiar friends and to be part of such a fab team of organisers. I am proud to know every one of them. I've attached a few pics, and so far in all we've raised over £10,000 between all the groups around the country, and it's not quite finished yet. Before we had even hosted the day people were asking if it was going to be an 'annual event', and it went so well we may well do it again! 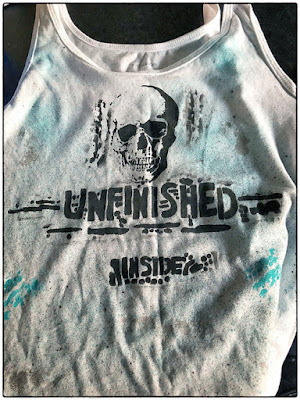 The T-shirt I stencilled and painted with So Soft Fabric Paints with Celia. This took me around 8 hours, I started on Saturday and finished Sunday afternoon, it was so nice to get lost in painting for myself! And the beautiful bauble I made with Karen, there will be a lot more of these to come, I'm totally hooked! CRAFTATHON 2018 was one Amazing Event. A gathering of like minded people who got together to raise some funds for Beast Cancer Care. The Inspiration for the Event came from The lovely Di Oliver herself. These events have raised an INCREDIBLE amount so far....the total currently stands at £10,531.27!!! I attended the Milton Keynes as part of the team organised by Cassie Campbell. Hannah Oxberry, Cassie Campbell, Karen Telfer Celia Low and Leslie Leigh Collins. 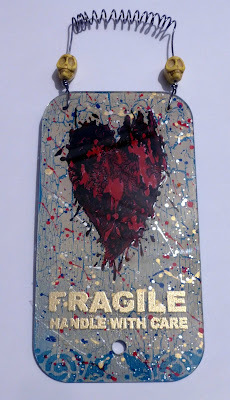 I tried my hand at some paint pouring on tags with Hannah. 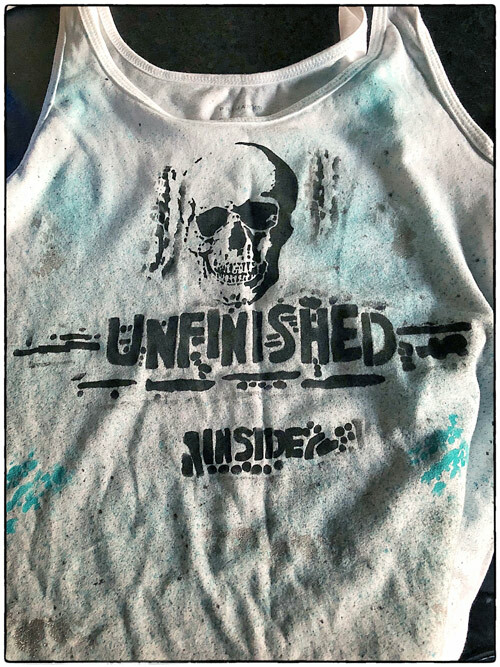 Decorated a Vest with So Soft Fabric paints with Celia. Also taught my own make and take too to some lovely ladies. I even put my husband to good use to man the Tombola Stall. What a Fabulous and Emotional even if tiring day of which I am so proud to be a part of. Here's looking forward to CRAFTATHON 2019. Well, how do I start, Craftathon 2018 has been AMAZING. 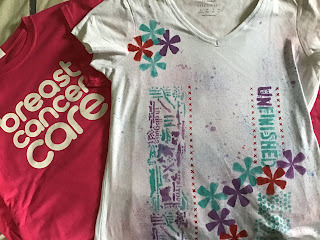 When I first asked on Facebook if anyone fancied joining me for a Craftathon Day I guessed there would be half a dozen of us raising a few quid for Breast Cancer Care. What I didn't foresee was the explosion of interest in the Craftathone events and where it took us. I went along to the Milton Keynes event organised by the fabulous Cassie Campbell and her team. I had originally meant to help organise this event but sadly cancer took a cruel twist in my life and I had to have more surgery leading up to it. Tony, my fantastic hubby drove me the 100 miles to Milton Keynes though and I had a wonderful day with wonderful people. 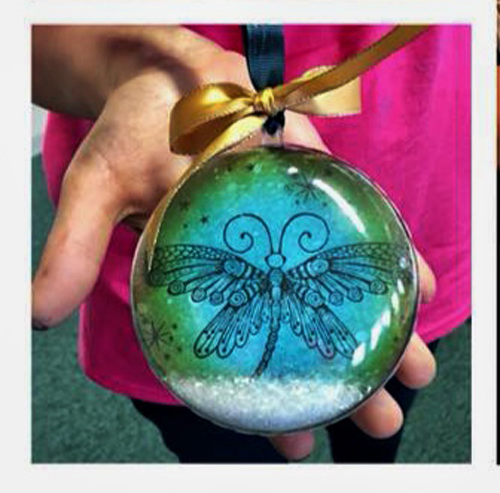 I did 3 make and takes that day with the lovely, Hannah, Karen and Celia :) I tried paint pouring with Hannah, decorated a T Shirt with Celia and made a beautiful bauble with Karen. 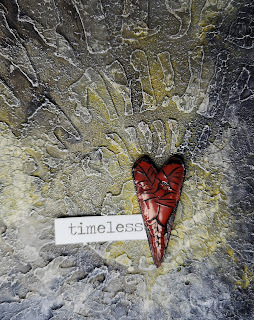 It's last day of Texture Week and here the project I've created for you. 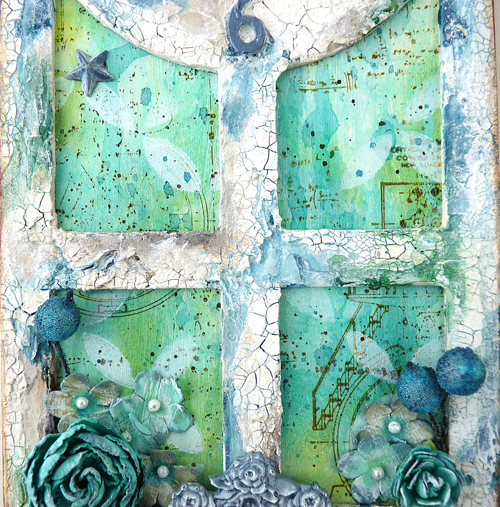 This time I wanted to create something with a shabby twist. To start with I've embossed greay board sheet and cut front and back cover and glued them on. 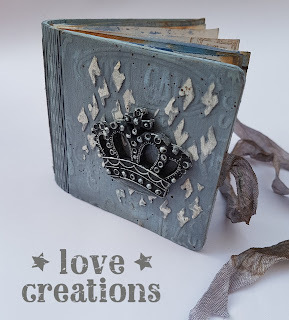 Using Tando mini stencil and Decoart Modeling Paste I've added some texture on both covers. I've paited them with Chalky Finish Paint in Everlasting. Once dry I've repeated the step using shade Serene. 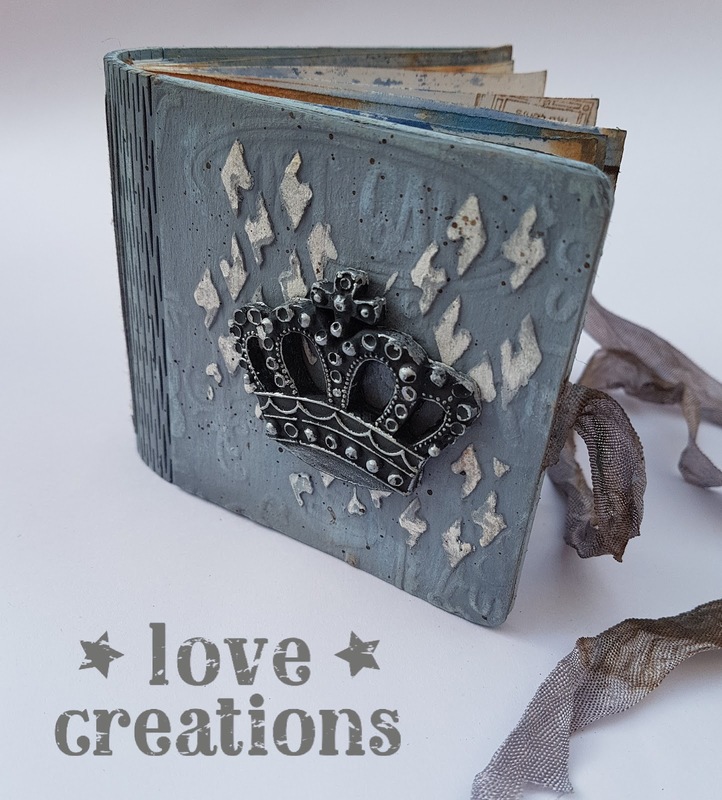 I've applied DecoArt Media Antiquing Cream in Medium Grey all over and using wet tissue wiped back the excess. 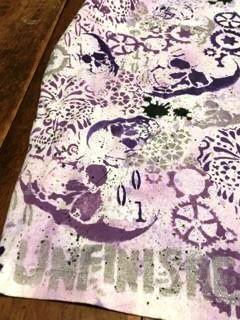 I've run sanding paper over the stenciled area to reveal white paint underneath. 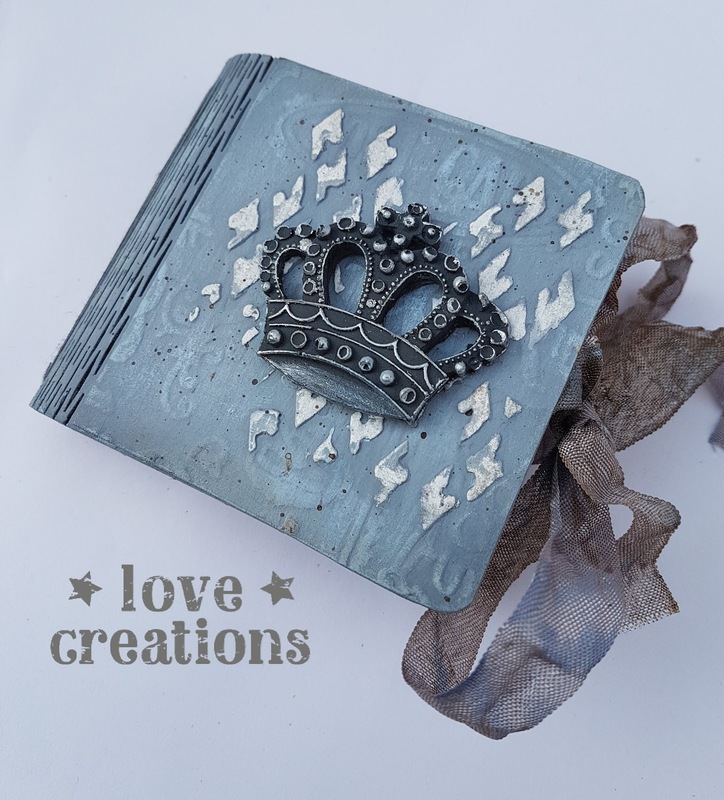 Crown embellishment was painted in Relic and highlighted with Metallic Lustre Wax in Silver. I hope you like my inspiration. Hi all, Hannah here, this week is all about texture at Tando Towers! 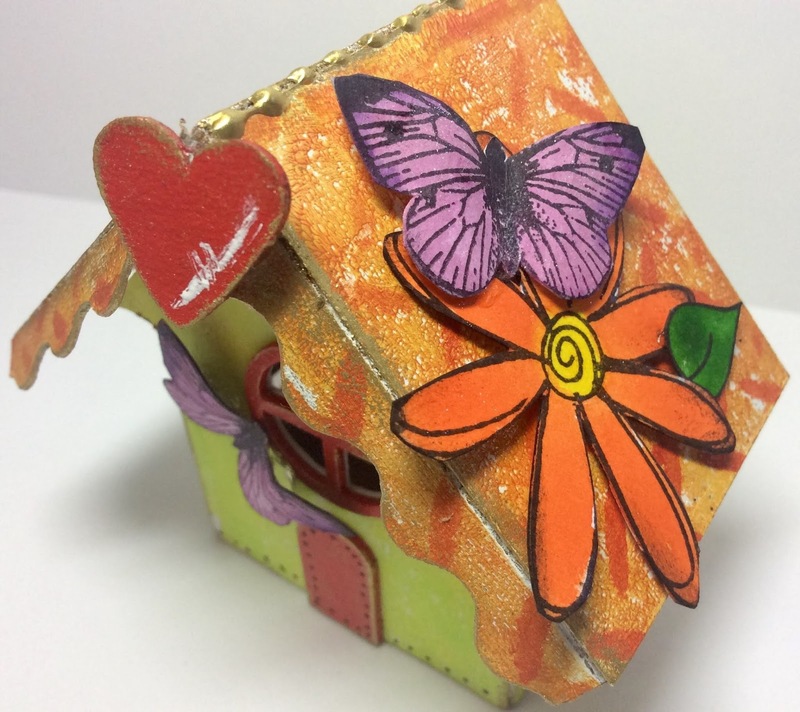 By following a few simple steps you can you can create a fabulously texted tag too. Firstly, paint your greyboard tag in DecoArt Americana Chalky Finish Primitive. 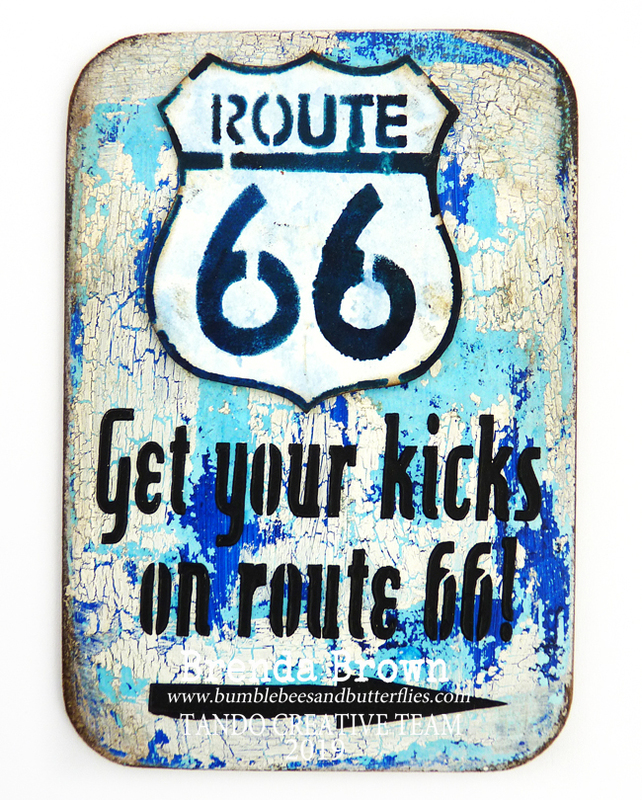 Next, use a palette knife to spread a little DecoArt Texture Sand Paste in areas, stipple the medium and drag the excess over the tag. 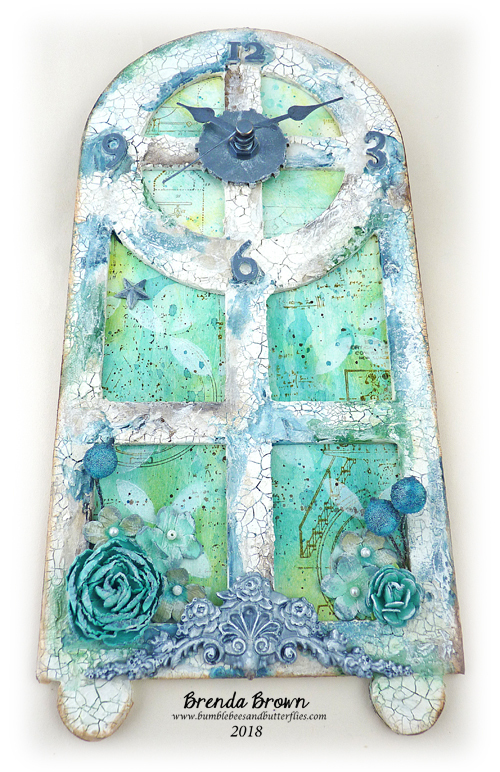 Once dry, select your stencil and introduce DecoArt Media Modeling Paste through the stencil, again using a palette knife. 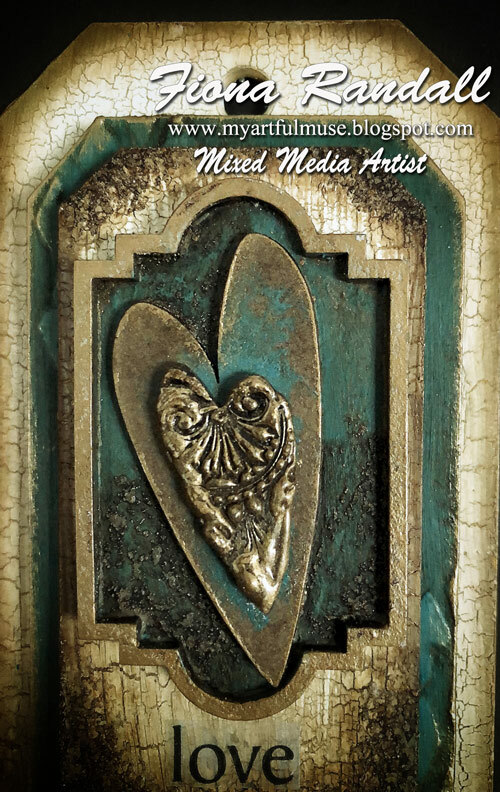 Your final texture layer is DecoArt Media Crackle Paint, draw this across the tag and over areas of the raised modeling paste. Once your texture layers are dry, colour the tag using wash layers of DecoArt Media Fluid Acrylics in Paynes Grey, Raw Umber and Yellow Oxide. Work up in intensity, adding neat paint to the wash. Darken the edges of the tag by applying Paynes Grey using a sponge. 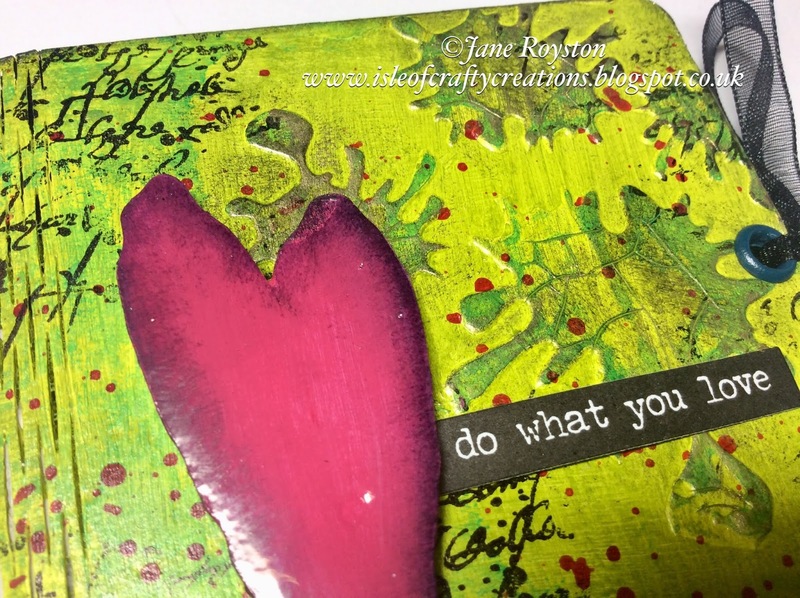 On to a heart embellishment, paint a layer of DecoArt Media Fluid Acrylic Cadmium Red, and apply a layer of Crackle Glaze. 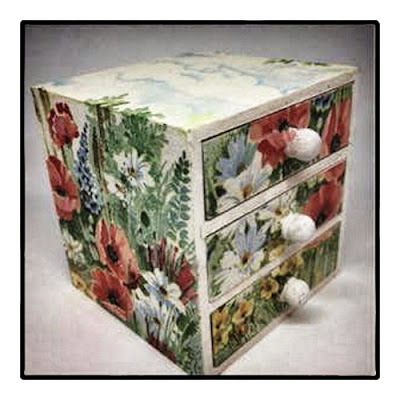 Once dry accentuate the crackles by adding Carbon Black Antiquing Cream. Wipe away the excess to leave the antiquing cream in the crackles. 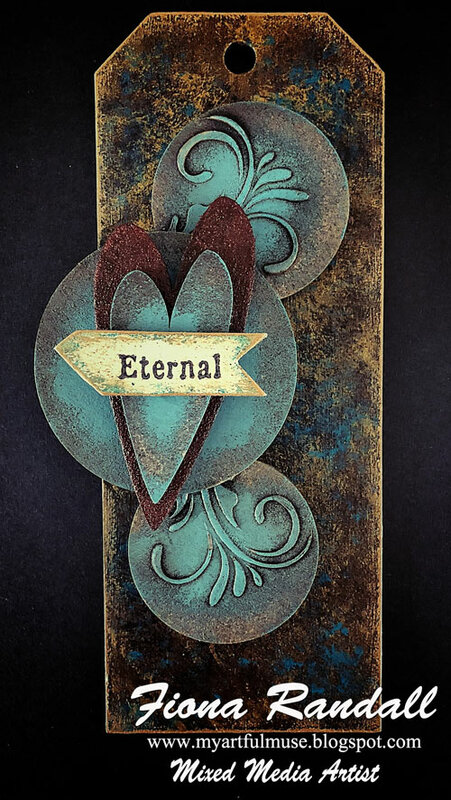 Finally, to really make the textures pop; dry brush the entire tag in DecoArt Americana Chalky Finish Everlasting. I hope you enjoyed this project, until next time - happy crafting! I wanted to help the stencilled texture stand out more so used some archival black ink rubbed gently across the surface and also a touch of gold gilding wax. 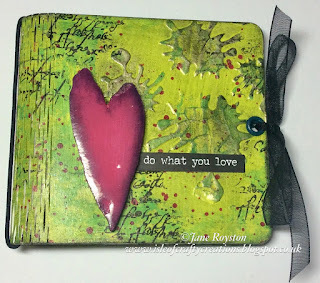 Then I added some stamping using a script stamp and ink around the edges to create a frame. 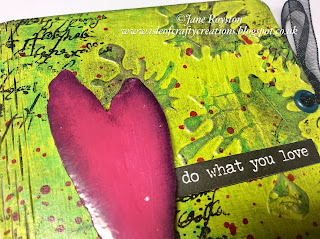 Finally for the focal point I painted one of the Tando hearts and added glaze to the top. Once this was dry I sponged some more black ink around the heart and finally secured it to the cover along with a sticker sentiment. Morning and welcome to another project created using this weeks theme TEXTURE. Tags Mega Bundle, Long Tags and the Hearts Mega Pack from Tando. 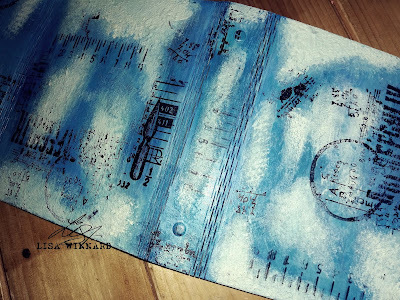 The long tag and small tag were given the crackle treatment using DecoArt chalky finish paints and Crackle medium for chalk paint. Next up was to apply texture sand paste to the bottom of the long tag and the bottom and top edges of the small tag. 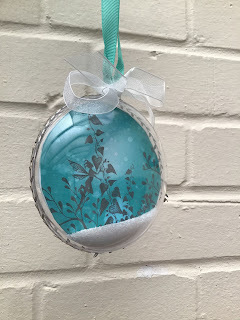 3d balls were then added using DecoArt heavy gel medium to the bottom of the long tag for added texture. Raw Umber Media fluid acrylic was then applied neat and in washes to both tags. Then Dark wax applied. 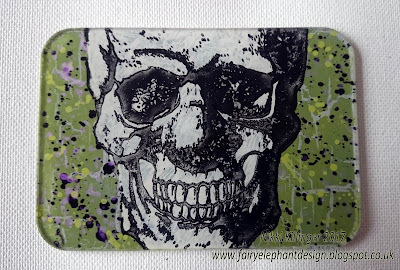 To the medium tag modelling paste was applied through the small distressed harlequin stencil. Once dry a coat of DecoArt chalky finish in Treasure was applied to the whole tag. Dark wax was then applied and wiped back to highlight the texture. The edges were then swiped with DecoArt Metallic Lustre in burnished brass to finish. 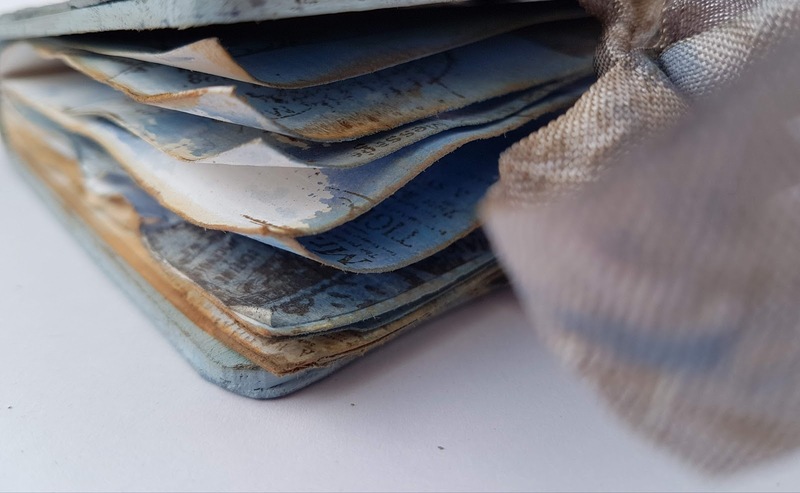 The small frame from France Papillion's Tag kit was assembled and given the texture treatment on the inside and the outside swiped with metallic lustre in burnished brass. The hearts were then painted and triple embossed respectively and attached to the frame. 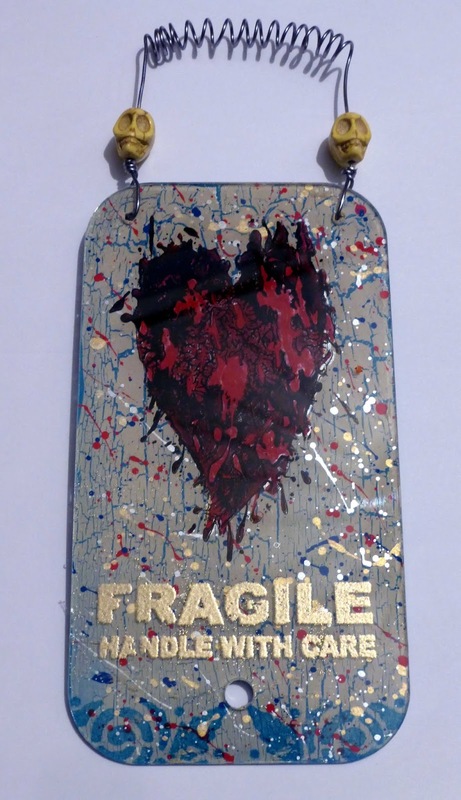 A resin embellishment was then given the same paint treatment as the medium tag and attached to the bottom of the long tag. Al tags were then assembled atop of each other after attaching offcuts of grey board to the backs to give depth and dimension. 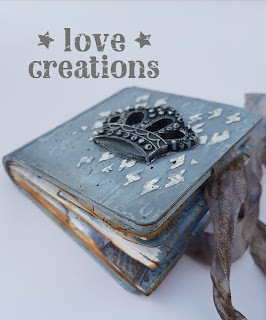 Finally a vellum LOVE word was added to the bottom of the small tag to finish. close up of the detail. DecoArt Crackle Medium for Chalk Paint. 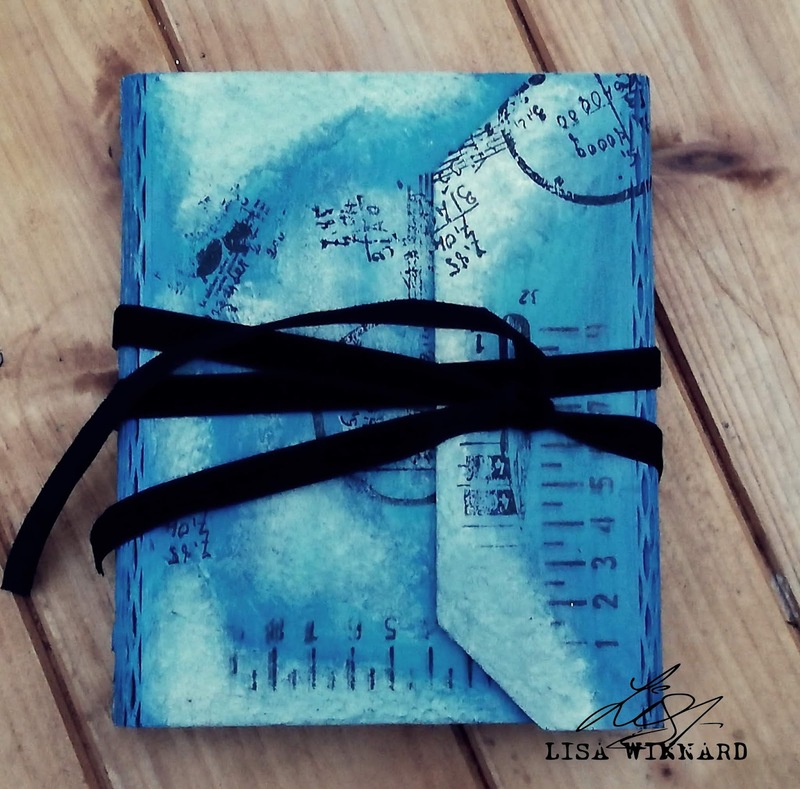 DecoArt Dark Wax for Chalk Paint. 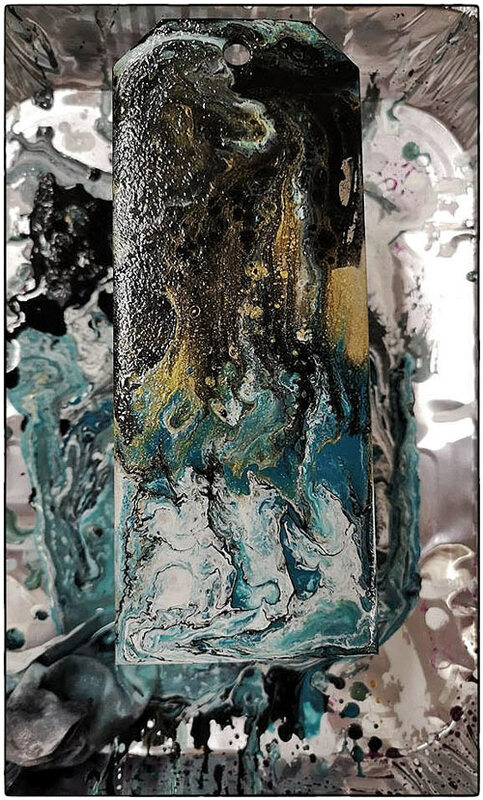 DecoArt Media Fluid Acrylic- Raw Umber. 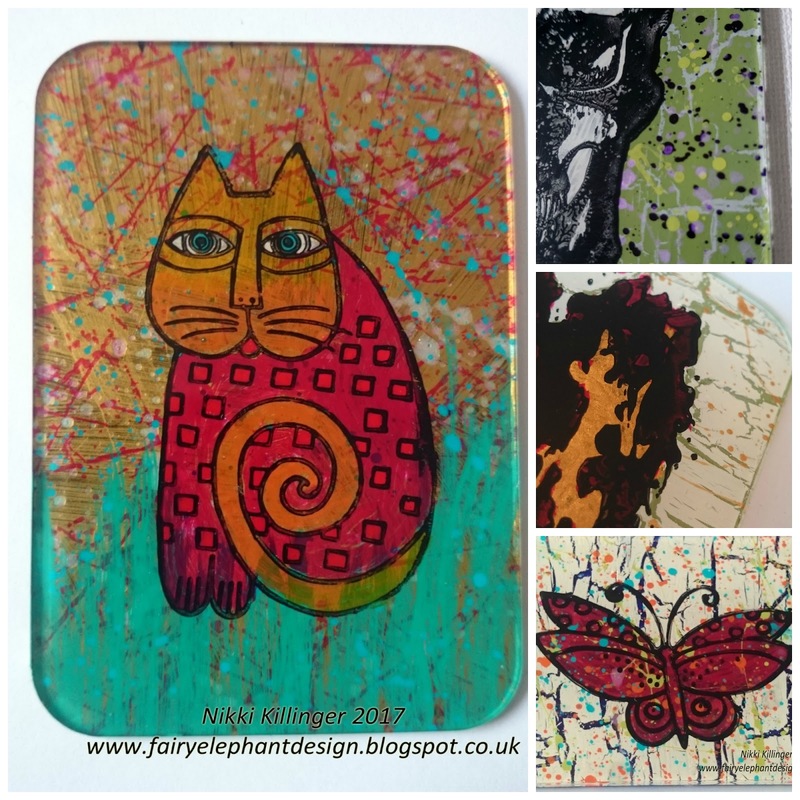 Stampendous Embossing Enamel- Chunky Gold. 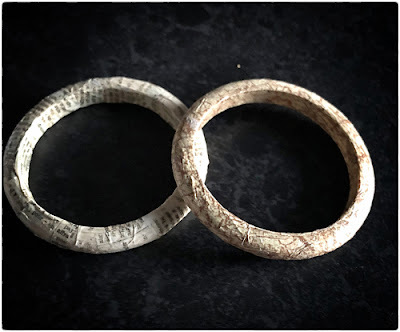 Welcome to a new week on the Tando Creative Blog and this week we have the theme of TEXTURE. A few months ago I had one of the Tando Steampunk clocks published in the Craft Stamper magazine so I thought I would share some photos of it with you as it is full of crackle texture and I have added the process steps at the bottom of this post. 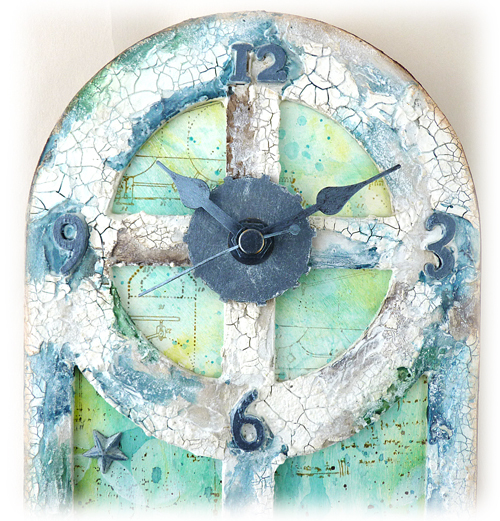 This is my clock shabby style. Here are the steps for you to follow. I used DecoArt media acrylics and mediums available in the shop. 1. 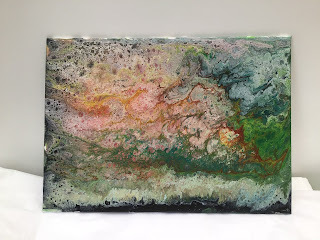 Take the front frame and prepare it by scraping over some modeling paste with a palette knife and adding some sand texture paste in random places. Push the clock numbers into the surface and let it dry. 2. 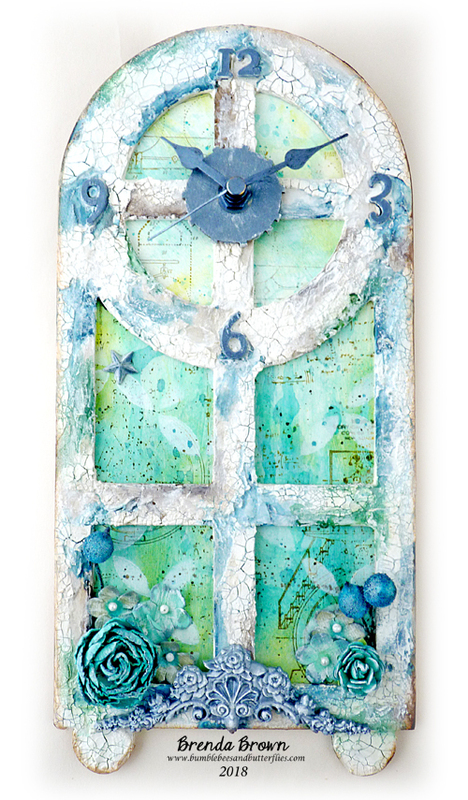 Give the textures and numbers a thin layer of white gesso before adding random patches of white crackle paste around the whole frame. Try to keep the patches almost joining up so it has continuity. 3. Mix washes of the colours used on the background. Use a paint brush to add small amounts to the frame drying between each wash. When dry paint over white antiquing cream and let dry again before buffing it all with a soft cloth. 4. 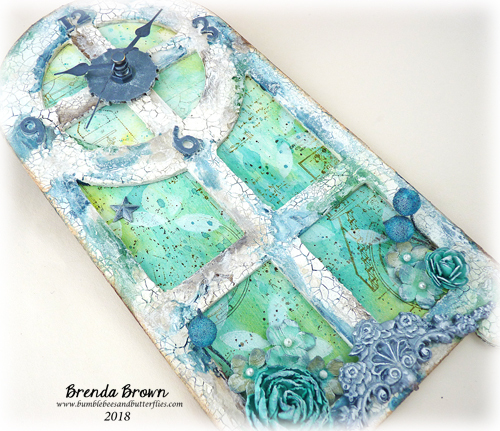 Take the background piece and cut yourself a circular piece of card for the clock face and paint them both with a coat of white gesso to seal the substrate. 5. 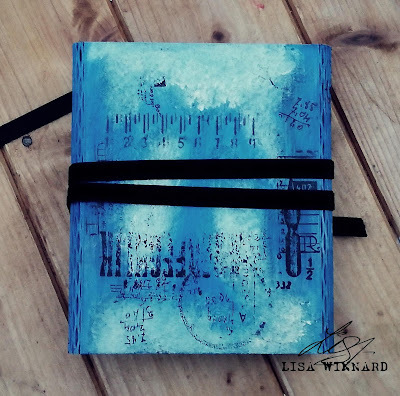 Mix a watery wash of Cobalt Turquoise mixed with Titanium White on a craft mat and dip the backgrounds into it and heat dry. Keep the clock face lighter than the background. 6. Repeat the dip and dry method with washes of blue/green light, green gold and prussian blue. 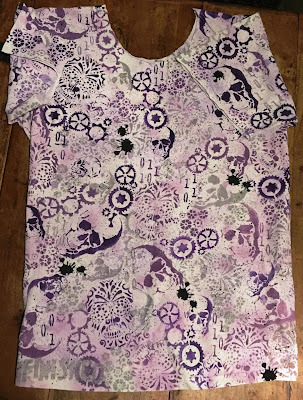 If after you have finished it still isn't dark enough go through the four colour washes again. 7. Stamp the diagram and text stamps randomly on the background and patterns on the clock face using watering can and coffee archival inks mixed on the same stamp. 8. Using Titanium White and a stencil add some random patterns over the background and heat dry. This adds greater depth and interest to your background. 9. Splatter some watery Prussian Blue and Raw Umber over the background and cobalt mixed with titanium white over the clock face. Paint the clock numbers with pewter paint. If you intend to display your clock give everything a coat of varnish before you stick the panels together. I used Soft Touch from DecoArt. Use sandpaper to distress some of the edges and rub in some ground espresso distress ink. Take your chosen embellishments, use the pewter paint and gesso to alter some of them and adhere to the project. 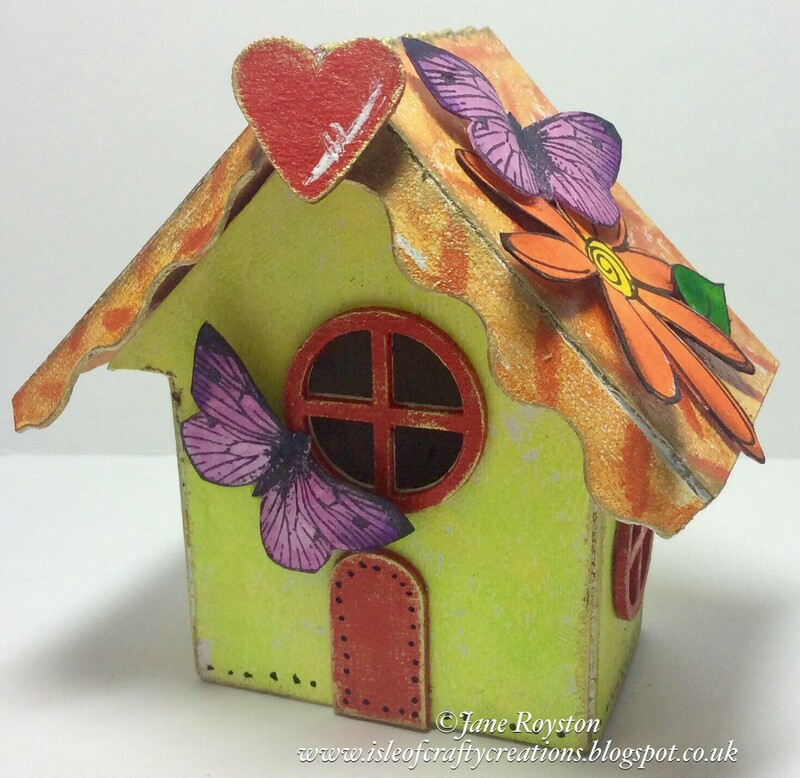 Hi folks, Lisa here with my project for this weeks theme which is 3D. I chose one of the Tando binders to play with this week as I've been an eager beaver to try them out. There are 3 of these binders to choose from, I chose the smaller one to try out first. 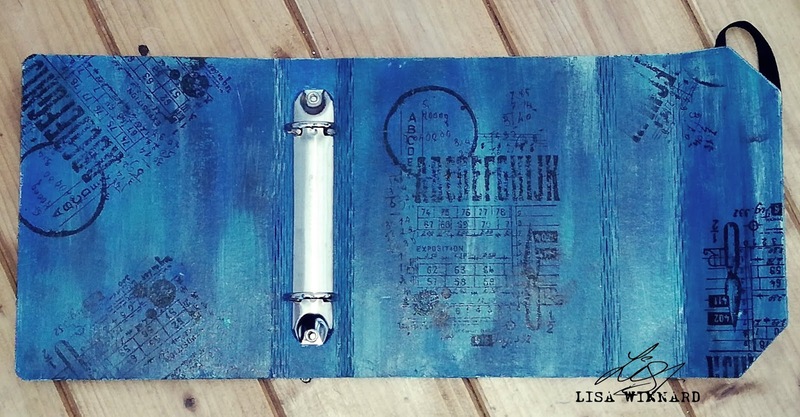 I used DecoArt Texture Sand Paste and DecoArt Premium Acrylic Paints to decorate the binder then added some stamping. I tied the binder with a length of black velvet ribbon. All the products I have used are available on the Tando Website. Hi everyone I hope you are okay Dee here with my 3D piece. 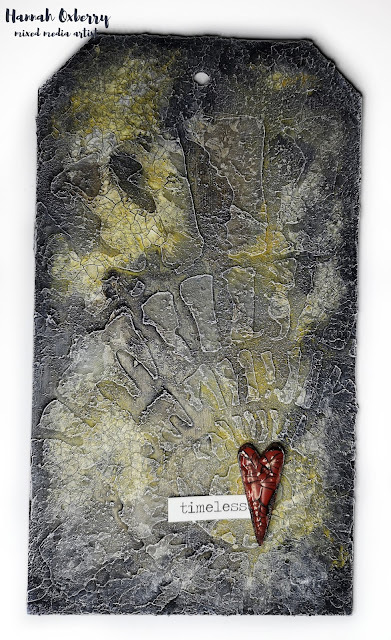 I absolutely love clocks for some reason and in my stamp collections I have a fair few so thought I would have a play. 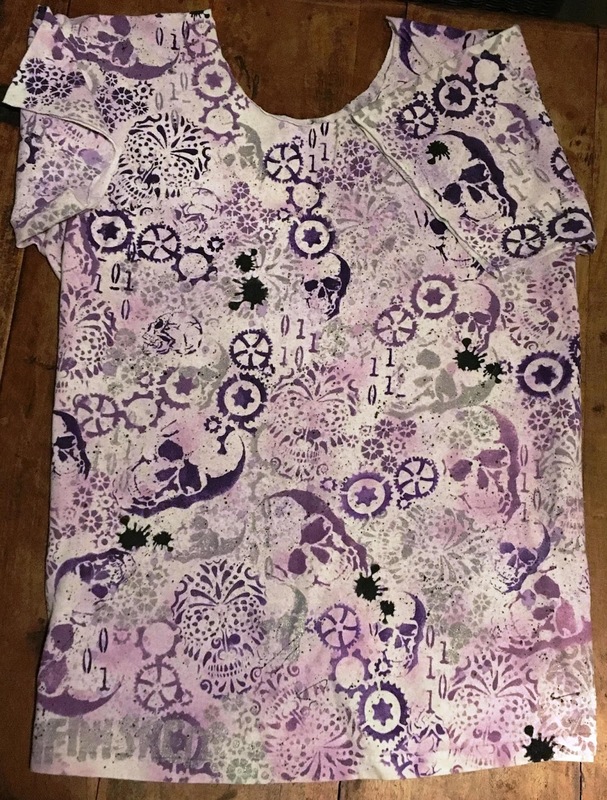 This is the result not sure what you would call it but think I might need a journal or something to put it on. I coloured it all with Deco art media fluid paints and some embossing powder melted in patches. I stamped the clock face onto white card gave light washes then used the 2 step crackle. The butterfly was stamped onto card and I used a mix of ink and very watered down media fluid paints. 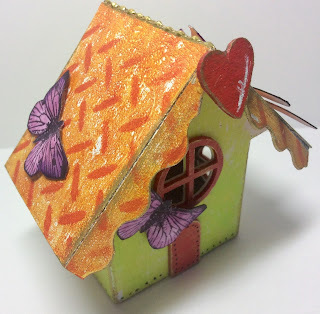 A few beads and micro glitter from stampendous. Thank you for popping by let me know what you think. 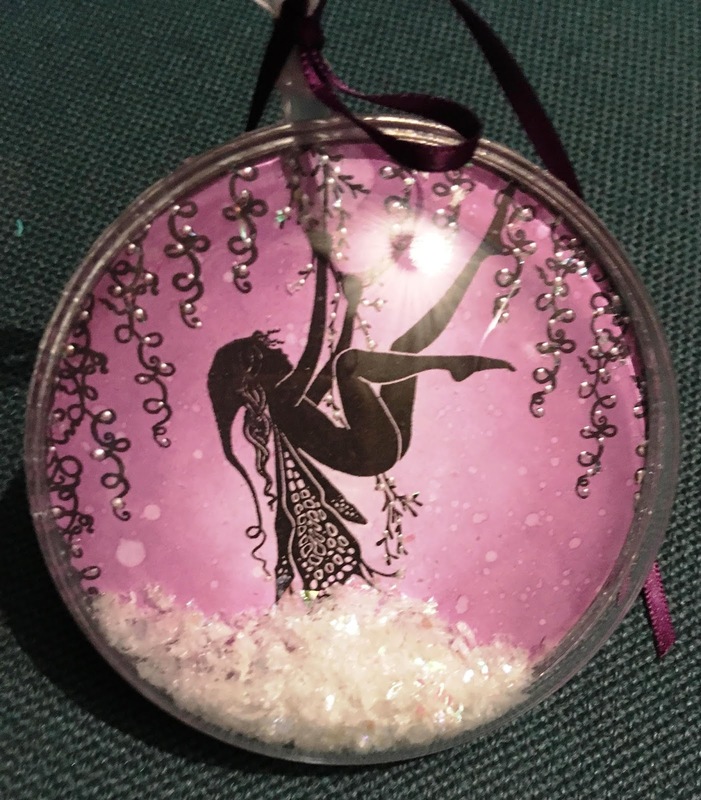 Finally I used some stamped images coloured with sparkle pen plus a little bit of doodling and liquid pearls as the finishing touches. Thank you for looking and happy crafting! 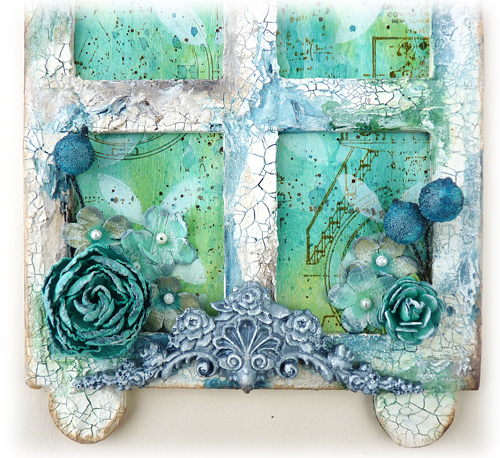 3D Week- Triple Arch Layered Frame.